The spectacle of sport: Pushing the human body to it’s limits to become a champion. That is what has always fascinated me about athletes and sport. From success to failure, these athletes are continuously pushing the boundaries to make themselves better. The amount of work and time that each of them puts in to achieve the athletic dream is only something we are reminded of as we approach the Olympic games. However athletes never take a break. From training, to school, to work, to social lives, these individuals have a schedule that many of us couldn’t imagine. But to think that these incredible people are often limited by a lack of financial support, is an issue I had never been aware of until recently. 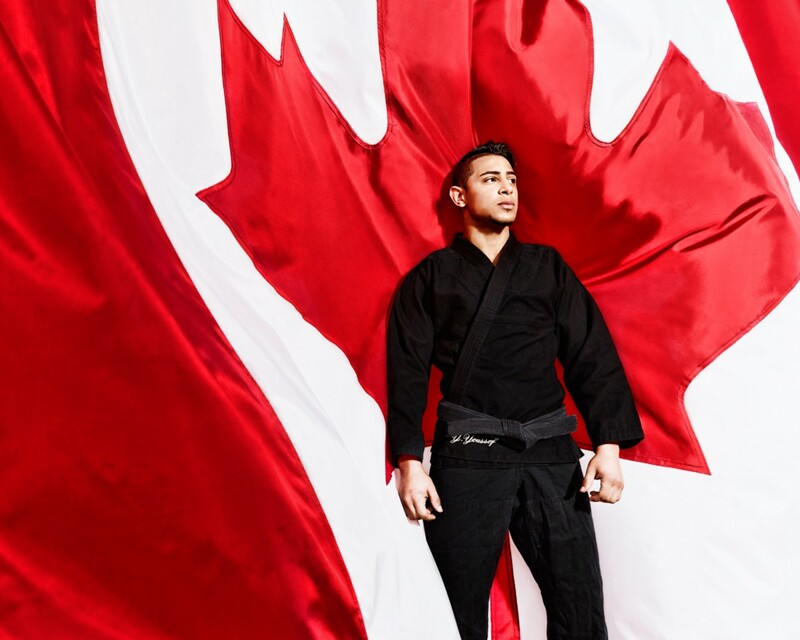 In January of 2015, an article about the state of amateur sports funding in Canada, written by Kerry Gillespie, expressed that even gold medal winners have a difficult time securing sponsorship to help offset the high costs of continuing their pursuit of being Olympic champions. This revelation inspired me to do something about it by means of what I do best — create beautiful inspiring images. My initial intent was to create a dynamic and graphic series of images of athletes performing their respective sport. The more I began pursuing the project, the more I realized this was bigger than creating beautiful images, but an opportunity to tell a story. The story of pride and passion for sport and country. 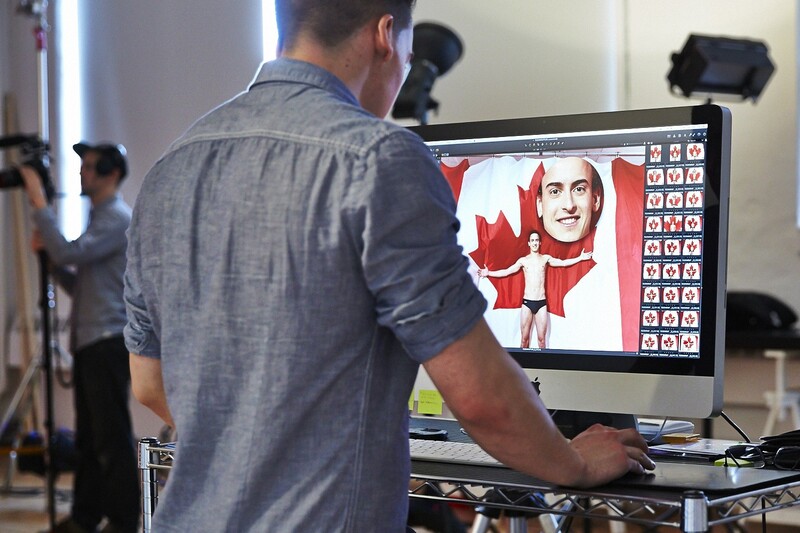 I chose to photograph each athlete in front of a giant Canadian flag. At the athlete’s peak moment, the flag, animated by wind, buoys against the athlete, wrapping them in their country’s colours. 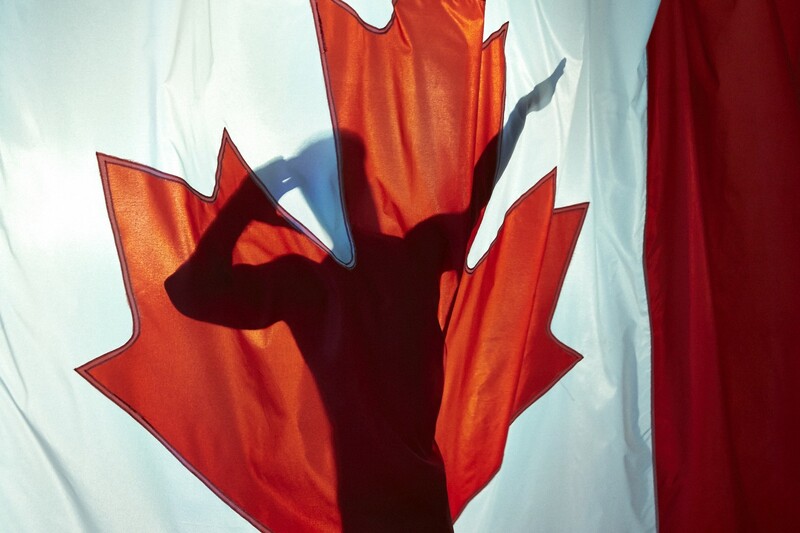 The interaction between athlete and flag depicts the symbiotic relationship that is needed between athlete and country to achieve athletic distinction. To complete the project, I partnered up with Tim Donnelly from Iota Creative to create a promotional video piece that puts into perspective what this project is about, and what these athletes strive to achieve. 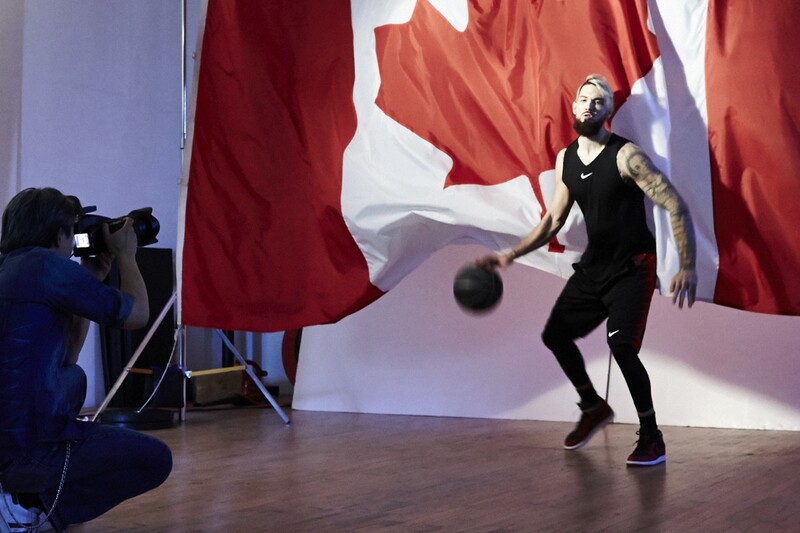 Six different athletes participated in this project, each with a different story, but all with the same goal — to make Canada proud. Over the course of the two day shoot, each athlete explained the realities of making the national team. Financial support seems to have been one of the biggest obstacles. However, hearing them speak about their journey brought one thing into perspective. The passion and pride they hold for their sport and country outweighs any financial difficulties they may have. That is the true power of sport — to pursue what you love, and trying to achieve it no matter what. Taking a short breather… who knew photographing athletes could be a sport in itself! Each of these athletes emphasized that opportunity does not only provide them with the ability to reach their goals. It helps them inspire others to work hard and achieve theirs as well. The EnWrapture project began with the simple idea to visually represent athletes in peak action but grew towards creating opportunity. An opportunity to tell the story of athletic passion and struggle, and encourage others to help support our future athletes in any which way possible. 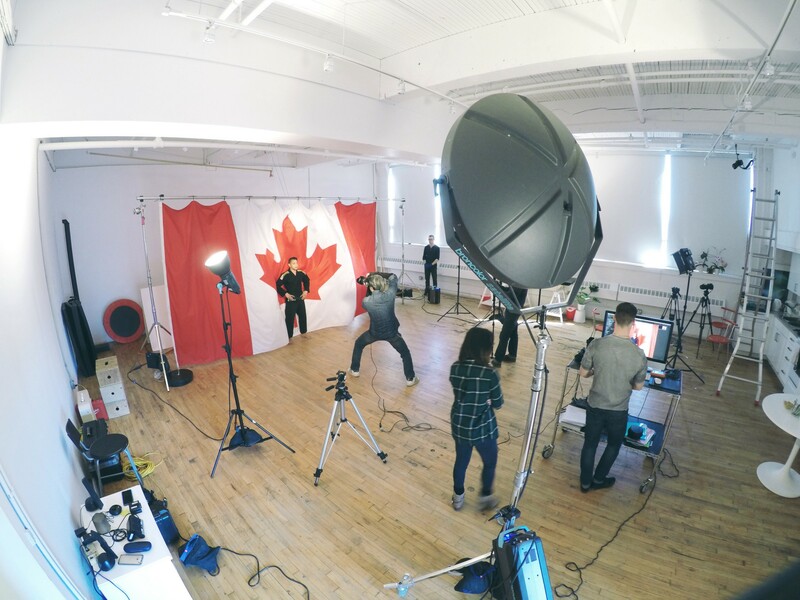 To support creating opportunity for our athletes, the 12 image series will be donated to the Canadian Olympic Foundation, to help young athletes achieve their goals. These images will be auctioned during the Gold Medal Plate Galas in support of the Future Olympians Fund. These events aim to raise funds for Canadian athletes who aspire to become Olympians and make Canada a leading contender in sport. 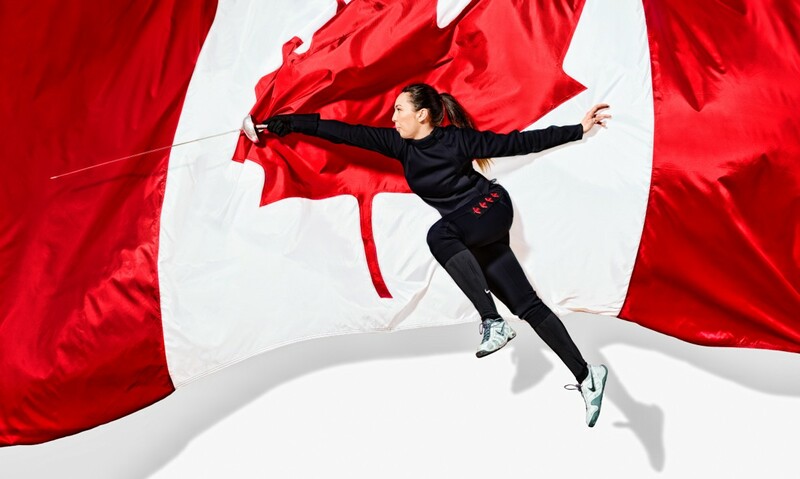 If you can, please make a donation directly to the Canadian Olympic Foundation through their online donation page, for every donation is a step forward for our athletes. A big thanks goes out to my whole team and all the athletes for all the hard work and time that they put into this project!! 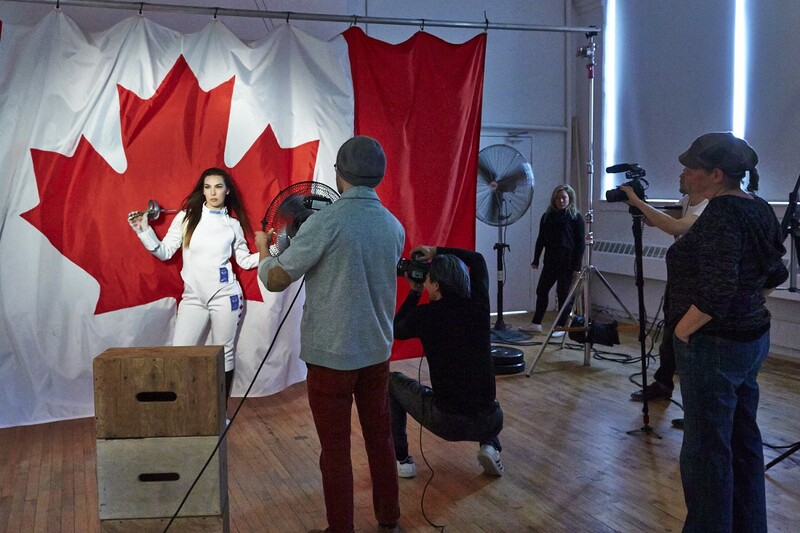 Special thanks to the Canadian Olympic Foundation, Broncolor Canada, and B3K for their support.